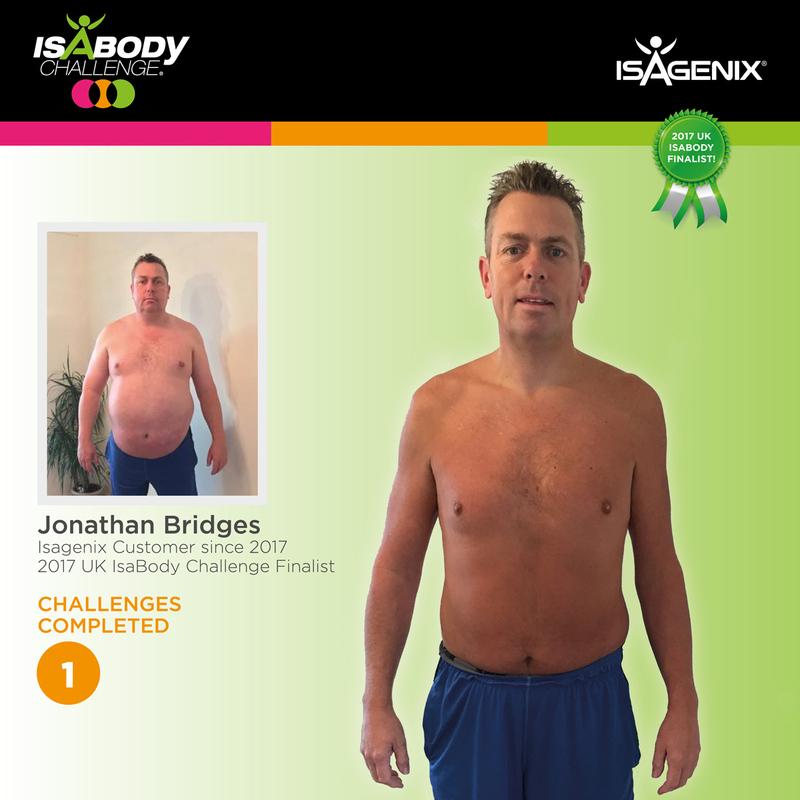 We’ve approached the end of an inspiring IsaBody Challenge®, and this judging period uncovered some remarkable finalists! These individuals dedicated 16 weeks to their transformation, and their hard work has paid off! 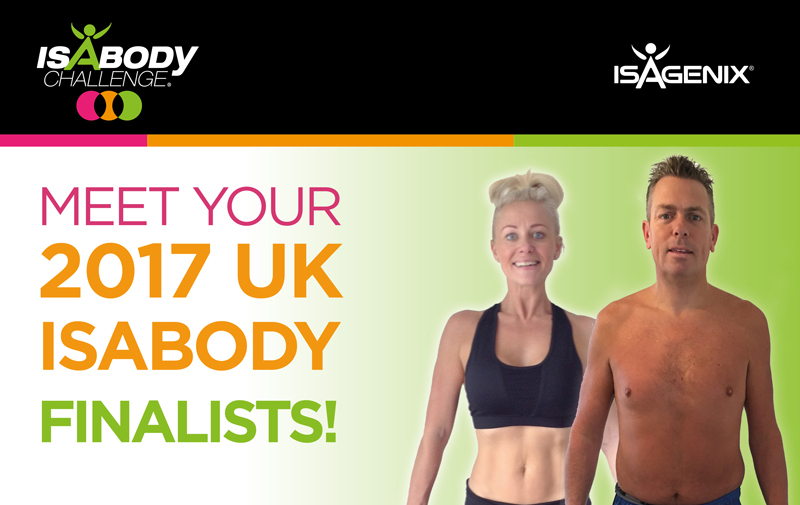 Each of these IsaBody™ Finalists will receive £1,000, a personal photoshoot and a chance to compete for the Grand prize. 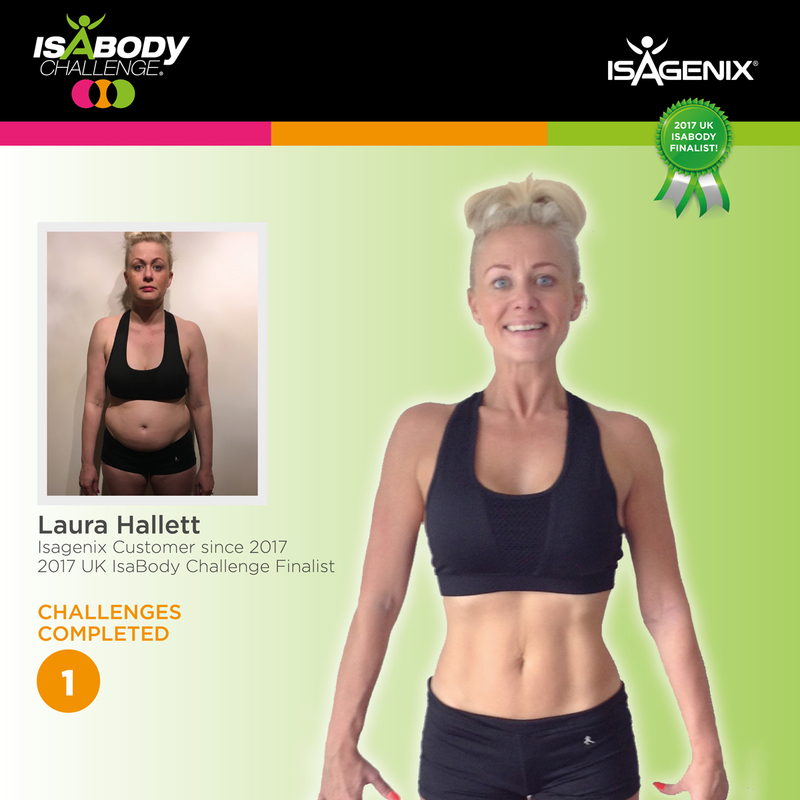 Meet your IsaBody Challenge Finalists 2017! After suffering a series of personal tragedies and the breakdown of his marriage, Jonathan had started to experience a lifestyle built around comfort eating, as a result he constantly felt overweight. He felt self-conscious and avoided shopping for clothes. Then after being introduced to Isagenix by his friends from Australia, he decided to change his life for the better. By using Isagenix’s weight management solutions such as, the 30-Day Weight Loss system, IsaDelights™ and IsaLean™ Shakes daily he had found a new lease in life. He even found the confidence to book two beach holidays with his two boys, in full knowledge that he would have to wear beach clothing. He is currently looking forward to his next 16-week challenge. Laura was desperate to get out of her mental and physical ‘dark place’. She had never lost her pregnancy weight and this was making her lose confidence. To take action she started using Isagenix’s Weight Management solutions. She also started using Energy and Performance Solutions such as AMPED™ Hydrate, e-Shot™, IsaPro® for her work out sessions. By the end of the 16-week challenge Laura’s confidence had returned and she was hopeful as to what the future could bring in terms of her weight loss goals ‘I am delighted with my transformation and I’m now living a fuller, healthier & happier life’. Her physical appearance and nutrition had changed and so had her outlook on life, she even wore a bikini for the first time in 12 years. *The weight loss and lifestyles results depicted in this publication may vary depending on level of effort, adherence to a controlled-calorie dietary regime, and physical constitution. The results were achieved when Isagenix products were included as part of a healthy lifestyle that incorporates regular exercise, appropriate portion control, and a varied and balanced diet to meet desired goals. Those who are pregnant, breastfeeding, or have a medical condition are advised to consult a doctor before using Isagenix products or making any other dietary changes.